Most everyone will tell you that he or she would benefit from being more organized; with a few practical approaches in place, we’d all save time and the frustration of not being able to find what we need, when we need it. So, the team at Springs has collected a few of our favorite ideas from the web and from our residents. 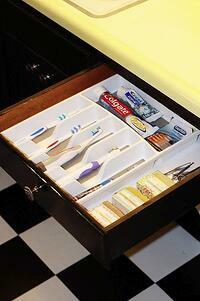 Not only will these tips help you stay organized, but in some cases will help extend your storage for everyday items! 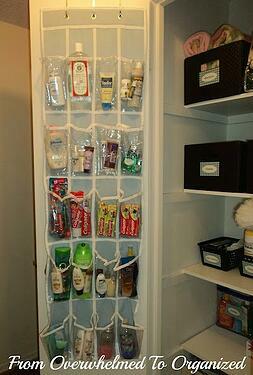 Hang shelves upside down so that the brackets automatically create built-in compartments. 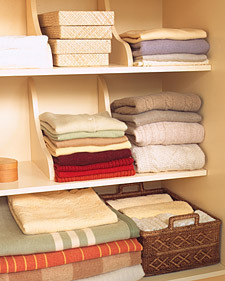 Use for books at your bedside, as CD or DVD racks, to organize sweaters in your closet or above a desk as added storage. Keep junk drawers a little tidier (and your “junk” easier to find) by placing small plastic containers inside them; keep the bins in place by putting easy-to-remove adhesive putty (Ticky Tack® is one brand) on the bottom corners of the containers. 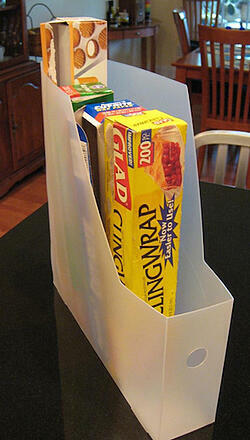 Use wire CD racks to keep your plastic container lids orderly. 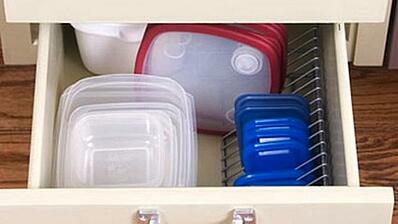 These items can be put in the bottom of a drawer without any tools – just drop them in and load ‘em up with lids! 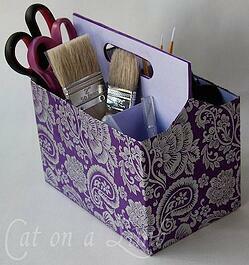 Storage containers aren’t just for closets and desktops. 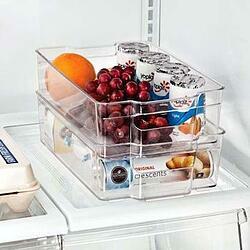 Use clear stackable containers to organize your refrigerator – no more lost food that has to be tossed out! Stick an adhesive hook (one brand is 3M’s Command®) onto the inside of cupboard doors to hold the kitchen items you reach for most, like measuring spoons and scissors. These hooks are also great for necklaces and scarves. 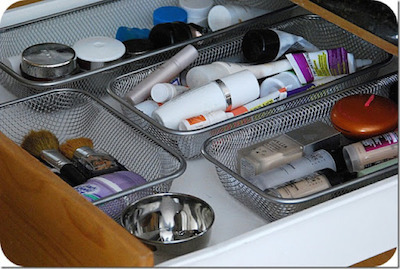 A cutlery tray makes a great bathroom organizer; use it to hold toothbrushes and toothpaste, and other bathroom-related items like lotions, tweezers and makeup. We want to hear from our Springs family – what organizing ideas have worked well for you? We’ll post a follow-up and let you all know what we learn!